Feliz Navidad! 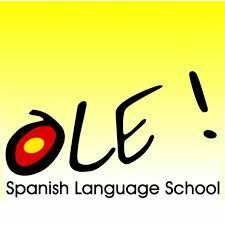 Moms and Tots can get an introduction to ¡Ole! Spanish School located at 213 S. Wheaton Ave. In this festive class, kids will get an introduction to Spanish language with seasonal songs and kid-friendly vocabulary (animals, fruits, family vocabulary, vegetables). The lesson incorporates speaking, listening and movement as the children are introduced to Spanish grammar and vocabulary.